How to Make Your PR Internship Programs Mutually Beneficial < Presenting Yourself and more . 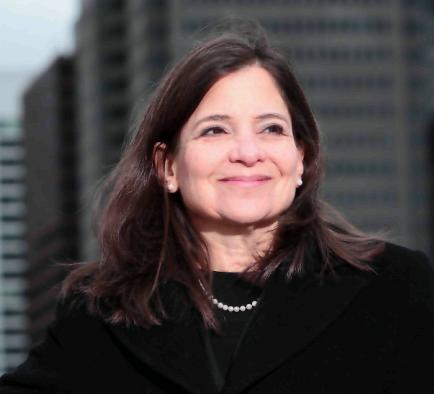 . .
An interview with Shelley Spector, President of Spector & Associates, Inc. In the next few weeks, summer interns will be joining companies and PR agencies to learn the PR business. We asked Shelley how her leading independent PR firm structures their internship program, recognized as one of the most successful continually run training programs in the field. How have internship programs evolved over the years? increasingly structured and formal over the years. It used to be that grads could “break into” PR by being a secretary or assistant. But those entry-level jobs no longer exist. Today, employers are looking for candidates with demonstrable, real world experience. And you can’t get that experience without being in a real work environment. On top of that, with many more students than ever looking for a career in PR, competition is fierce for both agency and corporate jobs. That’s why internships have become the most important way recent grads can distinguish themselves, especially those programs that provide hands-on, real-world assignments, with a fair amount of guidance, professional development and demonstrated growth. An internship should challenge the student, expose him to new ideas, and give him the opportunity to test-drive the field and make sure it’s really the career he wants to pursue. 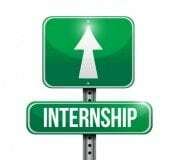 What makes an internship program successful? First: You’ve got to choose the right interns. Besides having all the right qualifications — versatile writing skills, high GPA, enthusiasm for the field, a respectable social media presence (no frat party beer shots, please) — the interns you bring on must have the right personality to fit with the rest of the team. They need to have a certain personality that can be projected whether in person or over Skype, and know the right questions to ask. (Point: interns who have “no future questions” to ask will not be invited for a follow up interview). We look for interns who demonstrate intellectual curiosity about a wide range of issues, who are natural news junkies, and who have already read that morning’s New York Times when we first speak to them. We also look for interns who can roll with the punches, keep cool under crises, and show a good sense of humor. We have interviewed some brilliant students over the years. But if we didn’t feel the chemistry was right, we didn’t hire them. We also choose only those interns who offer solid reasons for wanting to work here. That’s critical. (Point: it takes about five minutes to review the average agency website to demonstrate a reasonable knowledge of the firm’s recent activities). This is a fraction of the work back in the days when you had to visit the library to research a job. Any applicant who says they were “too busy” to do this is really saying they were “not interested” enough to work in our firm. Second: It’s important to create an environment in which the intern feels like she’s an important part of the team. Her desk should be situated near the center of action, so she can follow what’s going on with the accounts she’s assigned to, contribute ideas, ask questions, and take part in impromptu meetings and brainstormings. When appropriate, we also invite interns to listen in on conference calls with clients, colleagues and media interviews, because the more they understand what we do, the more they feel part of the team. And the more they feel accepted, the more they’ll grow. Third: The program should be structured, with goals, expectations and duties written up right at the start. What areas does the intern want to learn about? What skills does he want to improve? What are we expecting of him? Our programs last exactly three months, a period of time for the intern to grow and for us to assess his potential. Halfway through the period, the supervisor and intern meet for a face-to-face talk to discuss progress and areas for improvement on both sides. And at the end of the three months, the intern is responsible for creating and presenting a case study program of his choice, a program that demonstrates what he’s learned and what areas of the business he’s found most appealing during his tenure here. This gives the intern a chance to demonstrate his presentation skills, and lets all of us see the progress he’s made since he arrived three months before. Typically, we’re quite impressed! What types of activities do interns perform? An intern’s main job is to provide day-to-day support to an account manager. That means she’s likely juggling several projects at once, something that all of us in PR do every day. Depending on her skills and interests, she could be doing research for a thought leadership campaign; developing ideas for a new business proposal; writing outlines for speeches and analyst presentations or assisting with a new media strategy. First thing every morning, the interns take turns creating “news clippings” related to our clients’ businesses. This encourages them to keep up, not only with news related to clients, but with world events, the financial markets and politics. While we encourage interns to work on things that most interest them, we also urge them to get out of their comfort zones and take on some new challenges in a relatively risk-free environment. It’s one of the only times in their careers, we tell them, that they’ll be able to take risks and possibly even fail, with no repercussions. We’re strong advocates of pushing the envelope, and helping the intern develop confidence and courage. What happens when interns “graduate” from the program? Fortunately, many of the interns we train go on to become full-time employees for us. But that depends on whether there is interest on the part of the intern and, importantly, whether we have an appropriate job opening for an intern to fill. If all goes well, the intern comes to work in a company he’s already familiar with, and the company brings on an employee who’s already become a key part of the team. Shelley Spector is president and co-founder of Spector & Associates, a NYC corporate public relations firm founded in 1991. Her firm has produced more than four dozen corporate reputation awards for such Fortune 100 companies as AT&T, Bayer, ITT, Goldman Sachs and Philips. She is an adjunct professor at the PR/CC graduate school program at NYU and founder of the Museum of Public Relations, a 501c3 non-profit education institution chartered by the NYS Department of Education. I couldn’t agree more with point #2 – it’s all too easy to make interns feel under-valued. Ensuring they feel important will help your reputation as well as maximizing the results you get from them.